Many small and cheap ex-USSR air companies are not included in maybe the most known international booking system Amadeus, but in special ex-USSR Sirena system only. There are not many ticket agents outside ex-USSR territory with an access to this system and prices seem to be about 10-20% higher in comparison with local Russian prices. But it can save a lot of time and organizing if one finds such a ticket agent in a home country. In the Czech Republic, Asiana is the only companyl. Fortunately, you can use the Sirena website at least for an exact planning of the transport. You generally need some kind of a written invitation (called a visa support) to get a Russian visa. I'm not going to write much about visas , because there is a lot of information on this topic elsewhere and conditions (means required documents) can vary a bit in different countries. You can try e.g. this site (you can even order an invitation fax through www to be sent to your chosen embassy and pay by card for this). Current (2002) situation in the Czech Republic : Although a tourist visa, issued for up to 30 days, should require just a simple travel company invitation to be faxed to an embassy, this kind of invitation is enough for stay up to approx. 20 days only. For a longer stay, you need to show some proof of payment for a complete tour or for hotels for the whole stay. This effectively makes a tourist visa unusable for a longer independent travelling. The registration matters are looser and looser from year to year, expecially in more tourist areas (e.g. Kamchatka now), but some harassment still remains. Everyone with a visa obligation must have this visa registered till 3 days from an arrival in Russia (the stamp goes on Migration card when visas are in passports now). If one does not have this stamp at all, it does not necessarily mean problems. Usually foreigner is not checked by a police at all during a several months long journey. The police focuses on locals, especially Caucasian looking young men. Sometimes even the visa registration is not checked when leaving Russia. I was always checked in Brest in Belarusia when leaving Russia by train (2002,2003). When I was leaving Russian by plane in 2003 in St. Petersburg, it seemed to me, that they did not look at the back of the migration card at all...If one does not have the registration at all then the border policemen can make threats like getting off the train, require bribe etc. But small bribe (or nothing at all sometimes) is sufficient, so it can be in fact cheaper not to bother with the visa registration at all. But it can be theoretically a more problematic variant as well. One should maybe ??? register in every area - means a regional/republic capital (but I don't know the exact rule and probably no one knows...), where one intends to stay I guess more than 3? days (at least used to be the rule in e.g. Kazakstan). Second and other registrations can basically be done using same options as the first registration (see options below). This registration is not always required when one is checked by local police (I assume one has at least the first registration mentioned above). But this not very exact rule provides a constant reason for policemen to try to make you troubles, require bribes etc...because no one really knows much about it. Not many people make this registration anyway, it would be both very annoying and expensive to register e.g. five times in different parts of Russia. If one intends to stay in more remote regions (border regions or distant regions like Yakutia, Norilsk, Chukotka, Kamchatka ...) local registration can be usefull. It is usually done in the regional capital of that area or the capital of a federal republic. Such regions are quite distant from Moscow and Moscow registration does not have to be enough for local police. If one reaches final destination till 3 days (e.g. Yakutsk or Kamchatka by plane), the first and the only registration can be done there. First option - bigger hotels and possibly tourist lodges as well (means expensive usually, in Petropavlovsk-Kamchatsky such hotels started from 30 USD) have an authorization to make this registration on their own - means they give you their stamp. Then you neither need to go to OVIR (Office of Visa and Registration) alone, nor you have to wait for anyone to go there (even if you stay there just one night, arrive in the evening and leave in the morning). It is sometimes possible to persuade the hotel officer to give you the stamp for a negotiable fee without staying at the hotel and paying for nights. If this is possible, it can be the best price/value option of all options mentioned here. Second option is to use registration services of usual travel companies, that usually can't put the stamp on the visa themselves but can take your passport to OVIR for the registration stamp. They will take your passport for at least half a day and charge about 20-50 USD for this service. Third option is to go to OVIR and register visa on your own there. You should speak Russian for dealing with these officials usually. If this is the first compulsory registration, you should not have problems with their questions (like : Who have you arrived with here ? Where are you staying?). You can reply that you are just passing this city/area and heading somewhere else as a final destination and you just want to fulfill the "registration of visa till 3 days from an arrival into Russia" rule. OVIR officials sometimes require a presence of your "host" in that area (but name + address + phone is sometimes enough) when you go to register alone. Independent registration at OVIR can last from 1 hour to one day from my experience (including the time for finding where OVIR is, often finding a certain bank where to pay that fee, going back etc.). So if one is short of time, better to choose the right variant in advance. There fastest OVIR registration I heard of is in the village of Esso in Kamchatka - immediately for 1 USD. But that is quite a tourist area. Border permits are a next kind of permit, sometimes required in border areas (e.g. with China, Caucasian republics). One can usually get them for free in border guards headquarters in the capital of that region/republic. But they have several days long processing period often, so better do this in advance with the help of a local tour company. 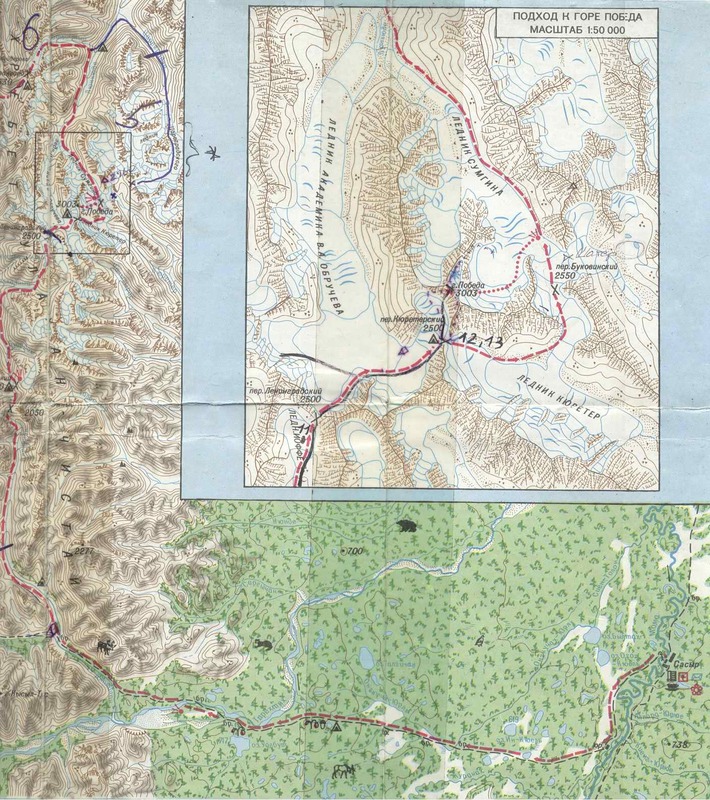 Many treks are shortly described in Trekking in Russia and Central Asia by Frith Maier, but maps are insufficient there. Vladimir Kopylov's site is very good for mountaineering in ex-USSR. 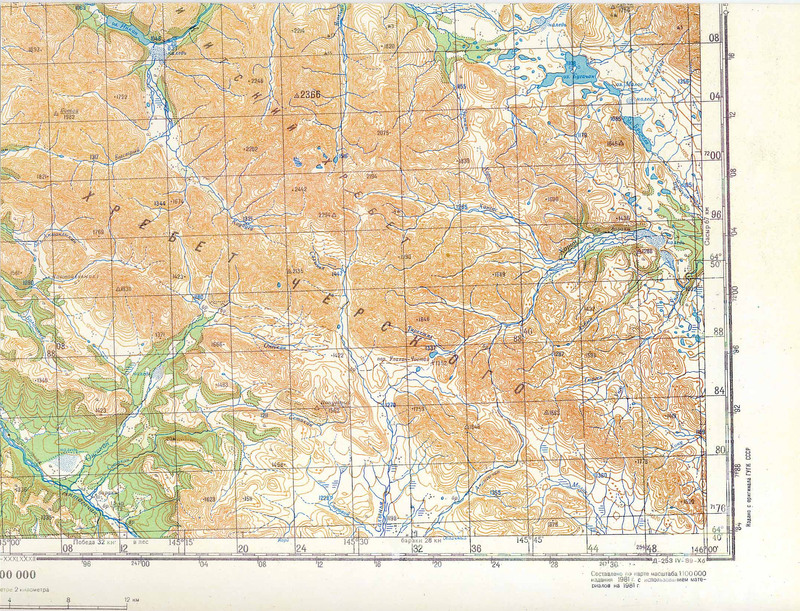 Tourism and mountaineering (and sport in general) were quite supported in ex-USSR, so there are many Russian language guidebooks and maps (often drawn by hand, because military maps were secret), that were issued during past 40 years, but they've been usually sold already. One can try pages with mountains focus and Galleries forums (see links ) and try to get some info from locals there. Russian outdoor servers listed there have often some older guidebooks online, some maps online....this is the best resource one can find. One can generally get 1:500 000 maps of Russia in special Russian map shops. Several shops are e.g. near Lublanka metro station in Moscow . It is sometimes possible to get better maps of certain areas, but once you are in that area only usually - and not for sure. 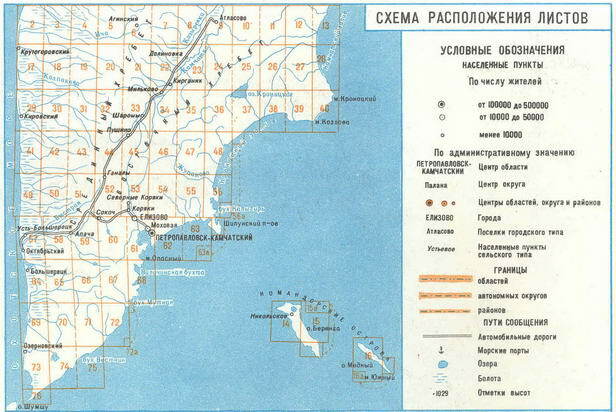 So look at my map page with info where to get Russian military maps . For Yakutia, Globus map shop in Yakutsk (on main Lenin street) surprisingly has some 1:300 000 military series sheet, but not for all areas in Yakutia, unfortunately. 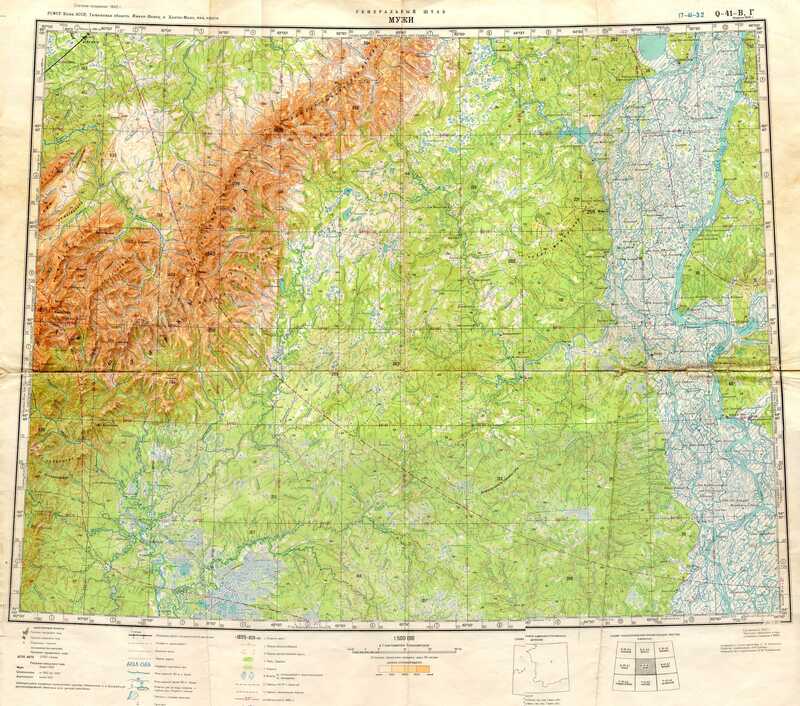 For Caucasus, there is Cartographic Institute in Pjatigorsk, which used to sell maps as well, but maps on Czech map server are very good, so no need to look for this. Look at e.g. bardjur site for some maps as well as GPS coordinates for some treks (Kamchatka, Plato Putorana...). And look at my links page, several Russian outdoor servers have map sections. There is a great site for Polar Ural . Lonely Planet Russia and Belarus guidebook is not very useful for trekking or travelling to remote parts. Well, Russia is so large that quality coverage would have to consist of several guidebooks probably. And this still waits for some researcher and publisher. Most people visit just Elbrus area, the other areas are not much visited and not much spoiled by western money. E.g. well accessible Northern Ossetia (capital Vladikavkaz) is almost not visited and offers great possibilities for simple to hard trekking and even an ascent to over 5000m high Kazbek mountain. Let's skip Chechnya, but Dagestan offers great possibilities for trekking and meeting many different ethnic groups of people. Czech map server contains great 1:100 000 military maps for Georgia, Armenia, Azerbaijan (but some can be used for Russian part of Caucasus as well). 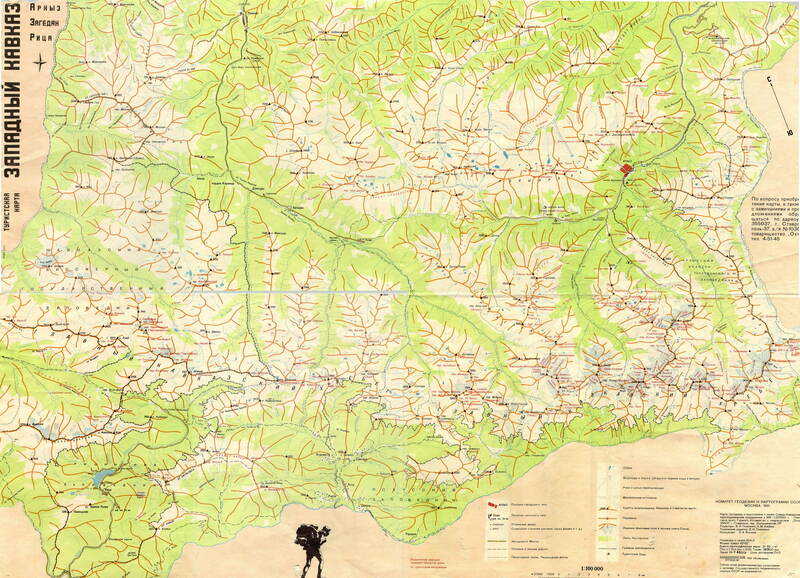 So just look , print and go..... You can use Trekking in Caucasus guidebook as well (from Cicerone press). I even met one author of this unique guide (Yuri Kolomiets) on Kamchatka. Mountainous Caucasus consists of generally 5 autonomous regions in the north : Karachevsko-Cherkeskaya oblast, Kabardinsko-Balkarskaya oblast, Northern Osetia, (Chechnya+Ingushetia) and Dagestan. International access is usually best from capitals of these regions. The only international airport (but used more as a national airport) is Mineralnye Vody. One can fly quite cheaply there form Europe with Pulkovo Airlines . Most Czechs go to Caucasus by train. Before an introduction of a visa regime with Ukraine, they usually went by train to Kiev (often with a stop on a Slovak-Ukraine border to save on an international ticket and buy just a very cheap national ticket) and then form Kiev to Mineralnye Vody or a bit further to a spa town of Pjatigorsk. One way used to cost around 100 USD. Now, with Ukraine visa cost of 30 USD, Czech budget travelers go more often through Belarus (transit visa just 10 USD one way) - there is a direct train during summer from Minsk (capital of Belarus) to Kislovodsk (through Min.Vody...) which bypasses Ukraine. Look at train timetable on links page . 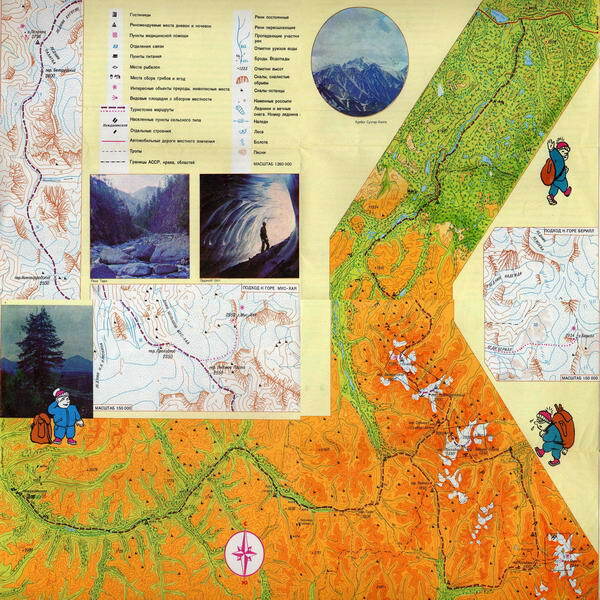 I don't need to write anything about Baksan valley and Elbrus , because Elbrus information site contains perhaps everything, including maps of Elbrus. Caucasian villages are generally well connected by buses with regional capitals, so the transport in not a problem. Robberies are really an actual problem and the more people go to Caucasus the more I hear of them being robbed. But people who were robbed usually didn't follow some rules, which could prevent it. Some robberies should not discourage anyone from visiting these beautiful mountains and generally great people. First, don't sleep in a tent near villages. If you are in a village (and not staying in someone's house), go at least several kilometers off. This should discourage most of local youngsters, who don't have anything to do (unfortunately there is really almost no work there) and who are usually the robbers. Sometimes locals claim that Chechens did it, but they often just blame an easy target. Second, try to spend as little nights in a tent built on one place as you can. Keep moving. This is quite a problem for climbers, who are often off the tent for several days. Even on very high and not easily accessible Ushba glacier plato on Russian side of the main ridge, tents are being visited by robbers (here the robbers are from Svanetia in Georgia usually). Third, be careful to drink spirits with young Caucasians, they have "hot blood" and seem to be interested in female part of travelers group especially. Older locals are usually OK all the time, so no need to refuse their hospitality generally. A border permit is necessary theoretically for any valley leading directly to some pass on the main ridge (the border with Georgia). But just some of such valleys are guarded and and permits checked there. So if one does not exactly know, where they are, better to have it(although they are just on several places and don't change the place during several years). One can get these permits for free in border guards headquarters in capitals of these regions. When border guards are present in the valley, it is usually a plus - one can e.g. safely build a tent near them and leave it for some time there. It should be obvious from this, that main Caucasus ridge between Russia and Georgia is no longer passable without potentially serious problems, although some adventurers might try that and I quite understand them. There is potentially a lot of adventure waiting there - lawless groups on southern side in Abkhazia, just a bit better in Svanetia (they rob on Russian side often), Russian border guards watching some passes by binoculars from their posts down in the valleys and waiting just for such adventurers, whole Chechnya with Pankisi gorge in Georgia occupied by Chechens.... 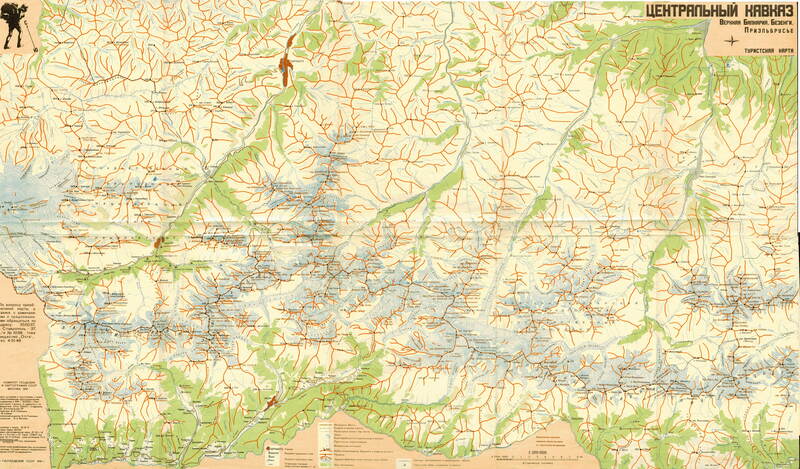 But many parts of Caucasian ridge are completely off the Russian border guards attention, so it would be possible to do some carefully planned Russia-Georgia trekking as in old Soviet times, with a limited risk. There is an interesting article about the tragedy of Georgia-Abkhazia conflict at http://www.geocities.com/shavlego/war_wg_1.htm. If you don't like mountains with other tourists, then these are the right mountains for you. Even the most attractive part - Buordakh massif with Pobeda mountain is visited by just a couple of groups during a year. And the other parts....they are not visited at all I think. We went to Chersky mountains in summer 2002, you can look at photos at photo page. There is a map of our journey there as well. The journey had several parts. The first part was transport by air to Ust Nera. The second part was transport by truck to Burustakh valley. The trird was trek to Pobeda mountain, an ascent of the mountain and trek to Sasyr. The forth part was by boat and horses from Sasyr to Khonuu. And the fifth part was by air from Khonnu home. There were no international or bigger air companies in Amadeus reservation system, that would to go to Yakutsk, the capital of Yakutia (or Sakha republic), so we had to buy a ticket through Russian Sirena system. It was cheaper in Moscow than through Czech Sirena agent Asiana. Domodedovo Airlines were OK for flying Moscow-Yakutsk, they even allowed 40kg free of charge. This would be very interesting for some kinds of expeditions - e.g. flying to Central Asian seven-thousanders, where it is almost impossible to have just 20kg. Ust Nera was connected with Yakutsk by schedule flights two times a week (we flew this way, about 130 USD for this flight, when bought in Moscow) , road joining the so called "Kolyma highway" was not passable during summer. It was possible to book or buy tickets for the local Sakha Airlines flight Yakutsk-Ust Nera (or to Moma/Khonuu) through Sirena system, but the Moma-Yakutsk flight not in advance (even in Yakutsk). I don't know if it works like this with some other one-way "back to Yakutsk" air tickets. It is very good to have these "back to Yakutsk" tickets at least booked, because airplanes on local flights are small (AN-24). The only solution is to have someone to book it for you in place where you want to fly back to Yakutsk from . This can speak in favor of some cooperation with local travel companies, that have links in these remote places. The nearest helicopter near Chersky mountains has to fly from Zyrjanka on Kolyma river and the flight from there to the area of Pobeda mountain cost 3500 USD in 2002 (whole helicopter, up to 3 tons of load I guess). We met Russians who had used it. There is no helicopter in Ust Nera of Khonuu. Bigger group could rent AN-2 plane from Sasyr to Khonuu (it can fly in the opposite direction as well). It would cost about 60 USD one way for each of the 10 people. This plane goes irregularly this route, when there is enough passengers and could take up to 12 people. It could be a problem to use small boats for such a group, considering the Ulakhan Taryn ice crust in half of the way (see my boat section) and the necessity of more boats for such a group. Trucks often follow rivers in these areas, because there is just taiga around and no roads. They sometimes go straight on the frozen rivers in winter. The best truck for this transport and the only possible one during summer (when there is a lot of water in rivers and swamps as well) is URAL. Taking some other kind, like ZIL, is risky, although someone tells you, it is OK. ZIL seems to be quite strong truck as well - we were crossing fords with over 1 meter high water many times, but URAL is better. Our ZIL from Ust Nera was not able to follow the assumed river and we had to stop about 2 days of walking before the assumed destination (Buyunga lake). A very important things are a mosquito net to put over your head and Autan repellent for other open parts of your body. The concentration of mosquitos during June and July is unbelievable, just look a my photos . August is not better, because mosquitoes are replaced by very small flies (midges), that can even get through a normal mosquito net. September could be the best, with average temperatures around 0°C, I guess. Mosquitoes are not present under 5°C and in even weak wind, but I don't know much about the small flies. Later, temperatures go down to -50 to -60°C, so better avoid this time if this is not what one really wants. The best way to approach Buordakh massif (where Pobeda mountain lies) is to go by a small car to Pobeda village (about 100 km from Ust Nera) and pay for URAL truck, that should stay there, to take you where you want on the way to Sasyr. We met this URAL going in the opposite direction while walking. It goes regularly once for a month from Pobeda village to Sasyr with products and back. The road is generally just truck trails over taiga, sometimes swampy meadows and river fords. It would take about 7 days of walking to get from Pobeda to Sasyr I guess, we walked almost this route in fact (we started near Pobeda - although we did not know that at that time and finished the trekking with some detours in Sasyr). I still can't understand, why our driver did not take exactly the route URAL was taking (from Pobeda village to Sasyr), maybe he did not know it. You must have a driver that knows the way, because there in no "way" in fact there. It's very easy to follow these URAL truck tracks from either Pobeda village or Burustakh valley (where we started) over small Ulakhan Chistai pass and further on to the ford over Tirekhtiakh river. A beautiful place to spend 1 days is Buyunga lake. You can see it on photos. There are many smaller lakes around as well. We met local Evens camping there during whole summer. These lakes are good for fishing. We left some food near the ford over Tirekhtiakh river and continued for 2 days through the forest and over the slopes of Buordakh massif mountains to Kjuerter valley (this leads to Pobeda mountain). There is no path from the ford, one has to use a map and stay above the forest, if posible, so it's easiere to walk. We went back from Pobeda to the ford by an approximatly the same way. We were supposed to meet local Momsky NP people there and to continue alone by their catamaran to Khonuu. This was arranged by phone with their headquarters in Khonuu. The place of meeting was set just approximately according to our map and we somehow did not meet (mainly due to our bad assumptions). So we decided to walk so Sasyr. On the way to Sasyr, when we reached the ford again, we could not find where the tracks continue on the other side of the river (Sasyr side). So we just walked in the right direction throuth the forest and somehow hit the right way in about an hour. It was easy to follow these tracks again to Sasyr. It takes 2 days from the ford over Tirekhtiakh river to Sasyr. There is a beautiful lake with a house, where horsebreeders stay, about 15 km before Sasyr. This could be the place, where you could arrange horses when comming from Sasyr. It is not a hard ascent, but not pleasant or nice as well. One can approach Pobeda from the west over Obrucheva glacier, but an approach from the east by Kjuerter valley to Kjuerter pass is more common. It is about one day of walking from lower forested parts, over rocks, along the sometimes wild Kjuerter river, to the glacier leading directly to the pass. From the glacier one can go up and down in one day without problems (not more than 10 hours, it took us about 15 hours, but in bad weather + we started about 2 hours below glacier and returned there). The easiest way starts from Kjuerter pass and one goes over the upper part of Obrucheva glacier and up the snow+ice kuloar to a small pass on the main ridge. Then there are about 200 unpleasant meters up over the sharp and not at all fixed main rock ridge in the direction back to the top (approx. grade III). An ice axe, crampons, rope and some fixing material are necessary. This is the route we took. A more difficult routewould be from Kjuerter pass straight on the main ridge over the smaller top to the main top (approx. grade IV). The most difficult way would be to go from Obrucheva glacier up straight to the top (approx. grade V). But if one is not interested in Pobeda (just because it is the highest mountain about 1500 km around), there are better looking peaks with more solid rock in Buordakh massive. Pobeda seems to be just a heap of stones. Rivers were the ways that enabled en exploration of Siberia several centuries ago. But with the lack of roads and flights being expensive, they are very important for the transport nowadays as well. There could be probably several small motor boats (taking up to 6 people incl. driver) in Sasyr. Khonuu, the capital of Momsky district is about 300 km far from Sasyr following Moma river. There is no road along the river (along parts only). The river is very slow and quite shallow (although quite wide), so we had to switch the motor off sometimes. And we broke one propeller anyway. The river is so meandering, that is was sometimes faster to walk straight than go by boat around. There are many faster rivers around, good for rafts or catamarans and Moma is definitely not among them. I'm lucky we went by motor boat finally, because catamaran was broken. At the place of Ulakhan Taryn ice crust, the water is so shallow (and flowing under the ice crust, if it is there, sometimes) that the boat can not pass. We had to walk about 30 km and another boat, that came from Khonuu, was waiting for us. One can use horses for these 30km. Horse breeders stay just at the beginning of this "ice crust" when coming from Sasyr. In summer 2002, there was almost no ice crust there, just a lot of streams to ford, so horses were great for that and incredibly cheap as well (about 2 dollars for a day for one horse, one usually pays 10-20 USD for a day in tourist mountains like Altai). It was founded in approx. 1995, partly to protect its area against the mining for gold in neighboring Ust Nera region. Not many tourists visit this area, just a few international and Russian groups during summer and autumn. Not more that 10 groups, sometimes very small, so all tourists are worthy guests here. Momsky NP staff, which works like a cheap travel company, is a good partner for e.g. booking of a return air ticket from Khonuu (called Moma on the air timetable) back to Yakutsk, organizing a small motor boat with a driver on Sasyr - Khonuu route, organizing hunting and any kind of exploration etc. One pays approx. real expenditures only in my view and salaries very low in this area, so it's not expensive. Momsky district (capital Khonuu) is generally much cheaper as fas as services is concerned, than the Oymyakonskyk district (or at least the area of it's capital - Ust Nera). There are many mines (mainly gold) in Ust Nera area. And what is more important, they are great companions, especially Voloda from Sasyr. But there is no general phone connection to Sasyr, so one has to call/fax to the director of National Park to Khonuu. This park is not big according to the staff (about 10 people, half in Khonuu, half in Sasyr), but great is both nature and and size. 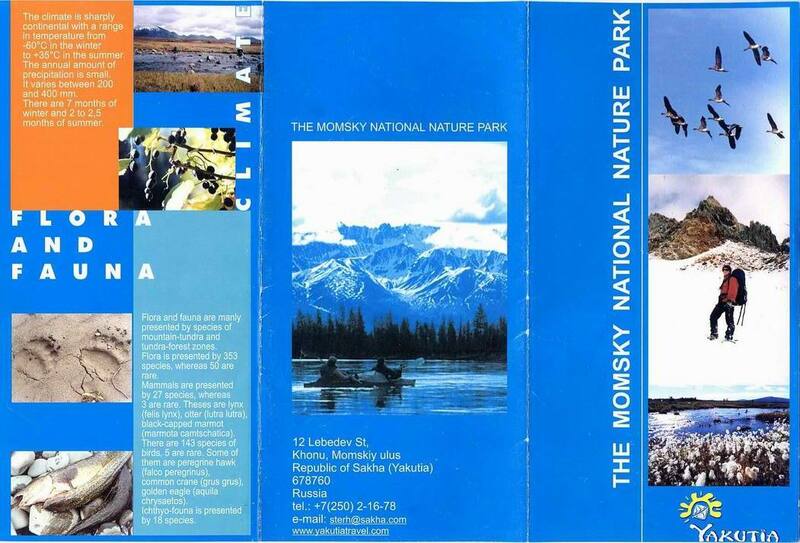 The contact (taken from their leaflet) should be : Momsky National Park, 12 Lebedev St., Khonu, Momsky ulus, Republic of Sakha (Yakutia), 678760, Russia, tel. :+7 250 21378. Their time is minus 11 hours from GMT (UK). 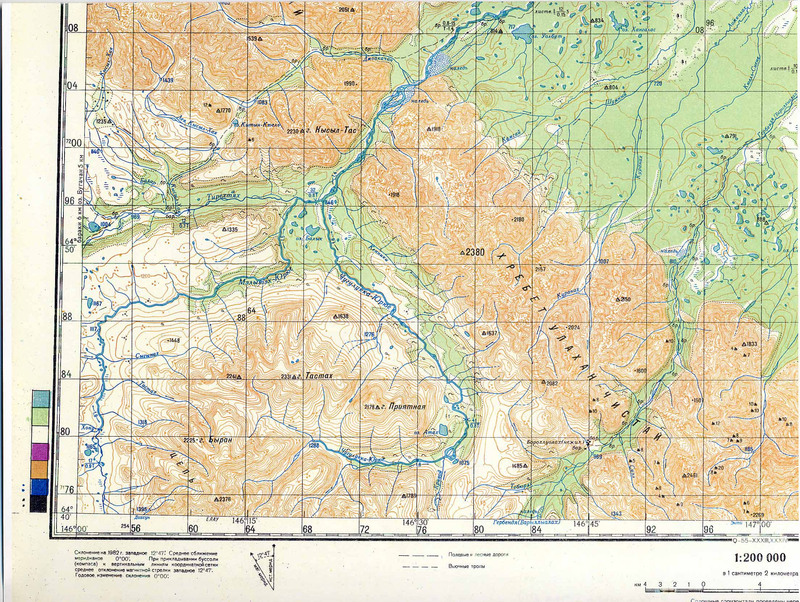 The first and the most important thing for independent trekking is a good map. The best is 1:100 000 military series, but I don't know where to get them. They had them on the wall in Momsky NP headquarters in Khonnu. 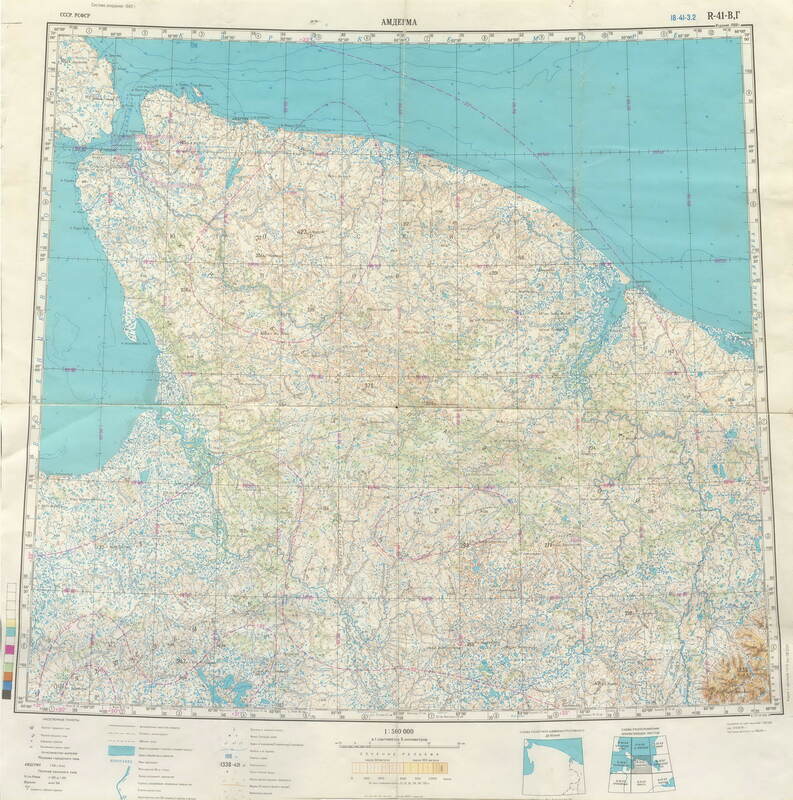 1:200 000 military series maps that we had were sufficient. But one had to get used to their scale. These tourist maps we got by email from some Polish (who were there before), when we returned. Guidebook for Buordakh massif(in Russian) !! !we did no have it!!! - originally at St. Petersburgh tourist club site , but it is quite slow, so I put it here. This area, a few houndered kilometers from previously visited Chersky mountains, should be very similar - possible to combine trek with horses and going back by small inflatable boat that horses could carry (using e.g. Tyry river to get back). When approching Mus Khaya mountains from north, there should be horses (possible to rent) in a valley one west of the main approach valley from the north. I plan to go there sometime. Maps for anyone interested to go there are here now. Tourist plan bought in Yakutsk in 2002 - front page. 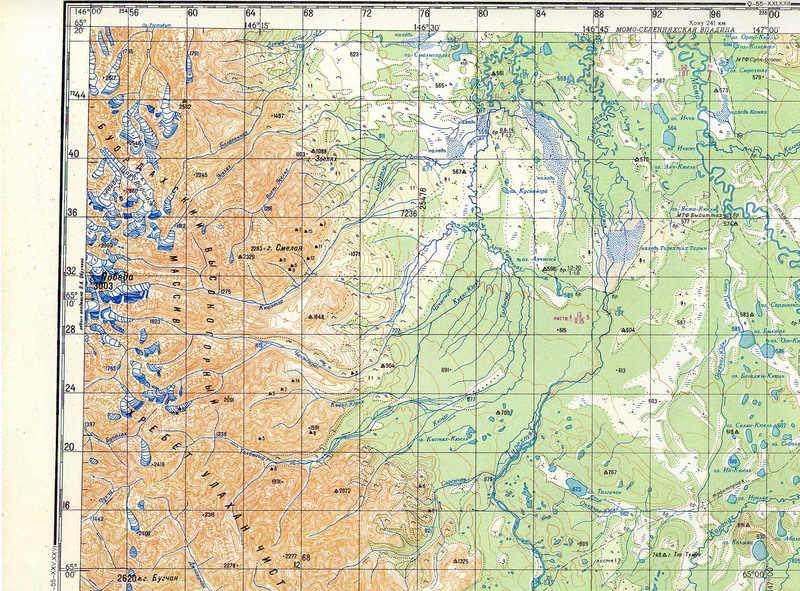 Classical Russian military topographic 1:300 000 maps to be added soon. Detailed "otcot" in Russian incl. 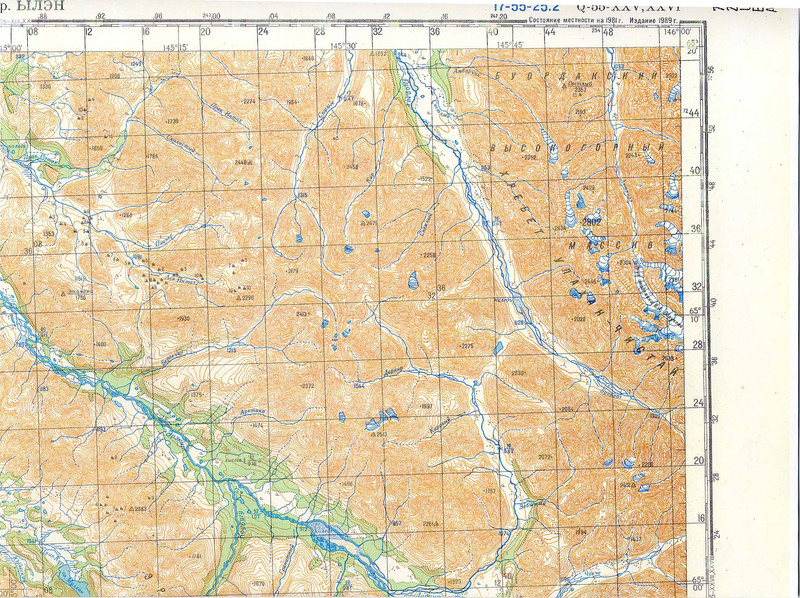 maps and a lot of photos from Suntar mountains trek and river trip by Delkyu-Okhotskaya river into Pacific here. Polar Ural is a quite popular arctic/tundra trek region among Russians, because the accessibility by train. The train separates Polar Ural into two parts. The highest mountain (Paier) is just 1499m high, it is rocky, surrounded by steep snow slopes (in winter). In my opinion, these mountains are more interesting for spring ski tours, than for summer walking. In summer, I would expect quite a lot of small lakes and swamps there, almost no trees. I would prefer higher mountains generally for walking. There are many areas, where one can go. More people go to the south of the railway than the the north I think (at least in winter). If you have 14-16 days, you can make the classic long tour from Sivaya Maska station (still on Moscow - Vorkuta line, so even a fast train stops there) along and over the Polar Ural ridge to the area of Paier (the highest mountain) and end in Eleckaia station. If you have less time (e.g. 7 days), you can e.g. start in Eleckaia and go approx. 2 days over plains to the area of Paier, climb the mountain, some mountains/passes around and go the approx. the same way back (we did this journey). Two trains go every day from Moscow during winter. One is normal and it stops after Seida (the station where the railway divides in the directions to Vorkuta and Labytnangi) every 5-10 km, so everywhere (even there is just one hut around, the stops are called like 110 km, 120 km etc....). Second train is fast one and goes to Vorkuta, but this does not stop everywhere and does not go in the direction to Labytnangi of course. The train is pretty cheap, about 25 USD for approx. 48 hours journey. There is no flight to Vorkuta, one can fly to Salekhard, but it costs almost 200 USD. If the river Ob is not frozen enough for going over the ice and not defrozen enough for the ferry, you may be forced to use an expensive short helicopter flight ! (at least I was told this by one local). Most groups go there between March 20 and April 20 for ski trips. Temperatures are quite mild in this period, between 0 and -20 C usually. The sooner you go, the lower temperatures and stonger winds you can theoreticaly expect. The later you go, the greater the risk of temperatures around 0 and possilbly snow+rain is. Morevover, one will not be able to cross many rivers, when they are not frozen enough! Snow is generally present there till the end of April (for skiing), but because of the rivers, better to go till the middle of April. It is especially unpleasant if you go on the way there over some river and can't cross it on the way back (e.g. river Elec just 500m from Eleckaia, you can hope someone will see you from the village). There are very few villages, that would be occupied by mostly local (e.g. Nenets) people. I don't know of any reasonably rechable. Nenets are nomads, they travel with their reindeer herds (see photos), so you can predict, where to see them. The best predictable way to see them, their tents some reindeers (not big herds) is to come on Reindeers day ("den olenovodov" in Russian). This celebration day takes place in almost every district with larger population of original people. One has to find out the exact date from local administration. 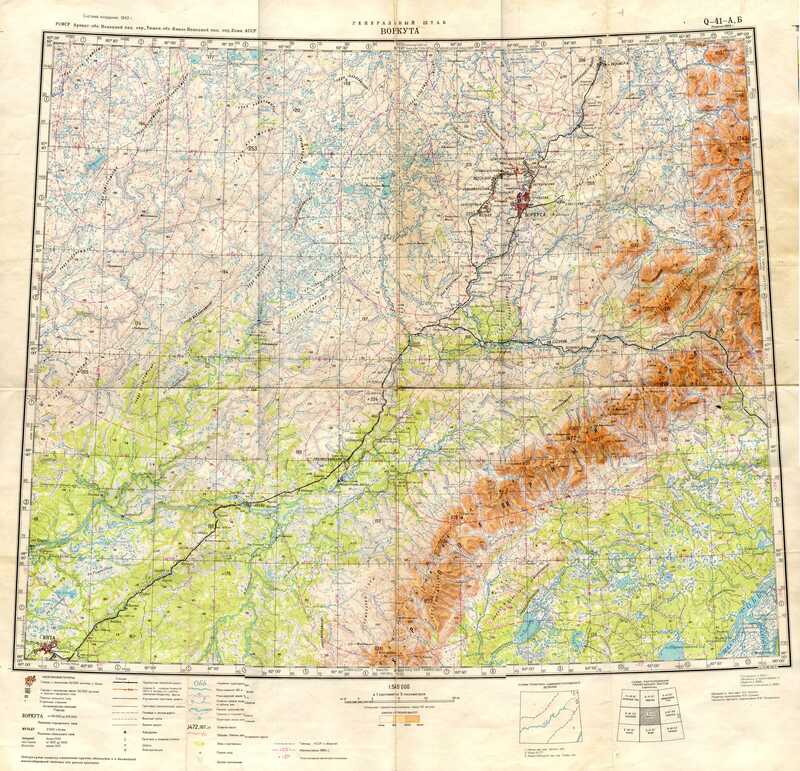 Good 1:100 000 military series maps can be found on Czech map server. Many tour descriptions in Russian ("otcety") can be found e.g. on Russian tourism site. 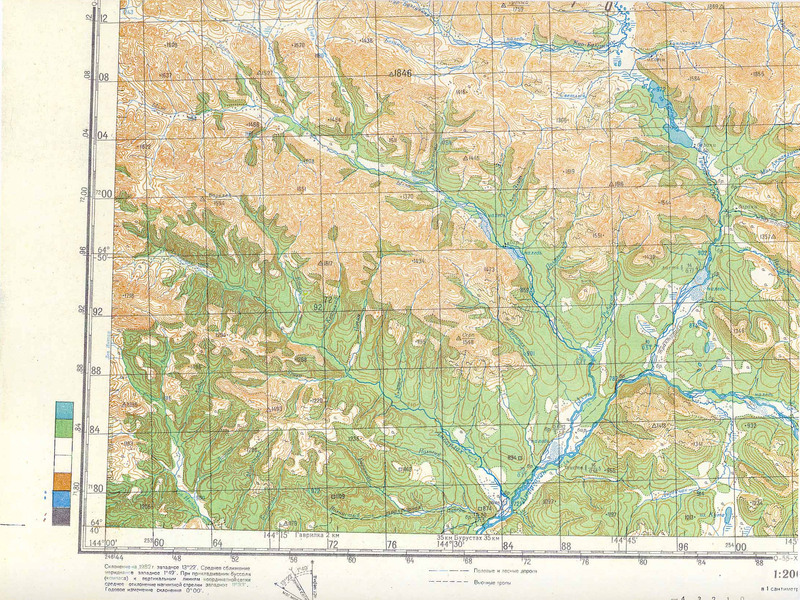 There's a special site dedicated to Ural region, with lots of maps (1:100 000,1:200 000 ...). 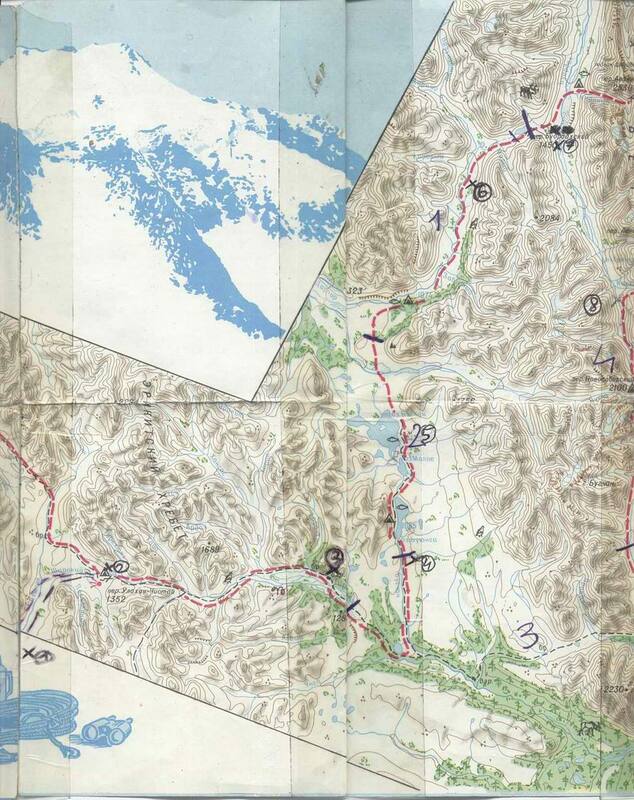 I don't know of any map, that would mark the passes and mountains exactly (with all their names) . One has to try to decode it from the Russian tour descriptions ("otcety") according to the location description of each pass/mountain probably. Kamchatka offers very much to tourists and theoretically all of this can be seen even during a single visit. Snow covered volcanoes, moon like desert around them, hundreds of hot springs, rivers with tons of salmons, beautiful autumn colors, geysers as well as clouds of mosquitos and miggies during summer, hardly passable bushes and forests almost everywhere and possibly many enexpectable rainy days. If you ask someone on Kamchatka, then you'll probably hear, that September should be the best (as in all Siberia I think). Colors of nature are the best, ranging from green over yellow to red, there are no mosquitos and probably no miggies as well (although I have doubts about the miggies unless it is freezing). But September does not suit everyone, so many masochists (me as well) go there in July or August. It is common in both Kamchatka and Yakutia, that there are mosqitos without miggies in July and mosquitos plus miggies in August. Miggies are worse then mosquitos in my view, but don't bite over fresh layer of Autan repellent. Anyway, they are so nasty, that you almost can not eat outside the tent, because they end in you meal. Mosqitos avoid such suicide missions. It is worth to say as well, that there are almost no mosquitoes or miggies in Petropavlovsk area and very little in Mutnovskaya-Gorely or Tolbachik-Kluchevskaya volcanoes area from my experience. And there are very much of them around rivers of central Kamchatka. I don't know about the concentraion in Nalychevo. I hope I will not go to such areas in July or August again (but I thought that last year as well, I probably forget quickly). And winter is always an option as well. Randonee skiing from volcanoes, sometimes with the ain of helicopter, is becoming increasingly popular there. International dog sledge races take place sometime in March I think. Unfortunatelly, atfer quite extraordinary June a July 2003 almost completely without rain, we had more than half of rainy days during our 16 days on Kamchatka in August 2003. It seemed from a discussion with other Czech groups (we met five just during our short stay), that when there was bad weather in the north (Kluchevskaya), there was quite good weather in Petropavlovsk (Nalychevo). Most of the best photos of volcano activity and geysers is from Valley of geysers and Uzon Calderra in Kronotsky NP. I originally planned to go from Tumroks over Kronotsky NP to Valley of geysers without paying 50 USD / person / day + the same for a compulsory guide. After reading Yuri Kolomiets opinion about Kronotsky NP, I decided to end in Tumroks. But I did not see so many great photos of Kronotsky NP before that. After buying a great book "Miracles of Kamchatka", I regret it. We had bad weather anyway, so I want to return to Kronotsky NP some time later, in a few years. Going there without paying, when you have to leave by helicopter from there (better not to come by helicopter there) means some possible troubles, of course. But the park rangers located there don't have much money themselves, so one would make some deal good for both side for sure. Russians did it this way in 2002 as well. Nalychevo nature park is very popular.It is just about 30 km from Petropavlovsk, just about 2 days of walking along good path. There are many termal springs there, even a shop with basic products (and beer !). You can bath in the springs and drink cold beer. There are many volcanoes around and the river Nalychevo goes directly to Pacific, so many salmons should be there I guess. A quite good map of the area (with marked paths) could be bought there in 2003. Kluchevskaya vocano is popular because of its height. It would be safer to take a helmet for that ascent as well, one Czech died there when a stone hit him in 2003. Plosky Tolbachik volcano is polular because of its moon like looking area and views to Kluchevskaya. A good trek can be done in this area. Travel companies itineraries are a very good source for an inspiration, e.g. Wild Russia. I visited Kamchatka for the first time in 2003, after hundreds of independent Czech tourists were there during previous 5 years. Several Czech groups put information about their treks on www. There were some practical information on www (in Czech or English)about trekking in Kljucevskaja area, Nalychevo area and Mutnovskaja-Gorely area and I wanted to add a new area. I wanted to go somewhere else and to enhance the described space. After reading an interesting site in Russian (bardjur), in English (Yuri Kolomiets) and finally the Russian Tourist guidebook for Kamchatka (part of it I scanned and put here - see bellow) , I decided from the trek number 11. From Tolbachik over Tumroks hot spring and Kizimen volcano to the village of Lazo, about 200 km and it was scheduled for 14 days of trekking (including 3 rest or reserve days). This trek goes a lot over forests and bushes, so it is nos so spectacular as e.g. trekking around Kluchevskaya volcano. But you can see bears, mooses, catch fish. The fastest option seems to be to spend one night in a hotel, that is able to register you. There are I guess 10 hotels like that in Petropavlovsk. One of the cheapest, where we staye was Edelweiss, within the walk distance from bus station in Petropavlovsk (30 USD/person for the cheapest room). The cheap rooms were full (better to book it in advance), so we finally managed to persuade the administrator to give us registration without staying in their rooms for 20 USD/person. They let us to stay in dormitories, which were in the same building as this hotel (this building is in fact quite ugly block of flats, typical for Siberia) for this price. The dormitories even had a common passage with this hotel. The hotel arouse from this dormitories apparently. But the dormitories administrator claimed that she could not accomodate foreigners there without the Edelweiss hotel intermediation. The only regural transport by bus seems to be from Petropavlovsk to Kluchi (about 600 km to the north, so on the way Atlasovo, Kozyrevsk...) and Oktabrskoe (to the west, on Okhotsk sea cost). And roads are not asphalt type even there. Buses there leave from the bus station, which is on the 10th kilometer, that means on the side of Petropavlovsk close to Yelizovo. A lot of places is marked by the distance from Petropavlovsk in the direction to Yelizovo). A lot of buses with numbers around 100 go there from Yelizovo airport for less than 1 USD. Hotel "Edelweiss", where we stayed because of the visa registration, about 1 km from there in the direction to Petropavlovsk centre. Long distance bus from Petropavlovsk to Kljuchi leaved Petropavslovsk at 8 A.M. in 2003. I cost about 20 USD incl. luggage to Kozyrevsk, went 10 hours I guess to Kljuchi, 9 hour to Kozyrevsk. So you'll be at 17 o'clock in Kozyrevsk and you still have time to arrange a rented URAL truck to take you to Leningradskaya huts from there the same day. There may be 2 busses going there, but tickects can be sold even a few days before anyway. These buses are pretty fast with regard the the road condition, pretty cheap in comparison with rented cars and pretty comfortable (everyone has a seat). So if you want to go by this bus and there are not tickets for e.g. next day, better to go somewhere (like Mutnovsky - Gorely volcanoes for 2-3 days) and postpone the journey to the north. Another bus just to Altlasovo (about 8 hours, 15 USD incl. luggage) leaved at 9 AM I think. For a smaller group (up to 8 people) rented 4WD microbuses are enough and they are very common all over the Kamchatka. You can't go with anything less robust generally, because there is almost no asphalt on (and you don't see much less robust cars there anyway).Kamchatka It it worth to say as well, that bigger wehicle, like bus, is faster of these road full of stones, because of the size of its wheels. We were about 30% slower than the bus on Petpavlovsk - Kozyrevsk road in ordinary 4WD microbus, better to avoid it (but there are more robust versions of these microbuses as sell, like the one we were using for Petropavlovsk-Mutnovsky volcano journey). When negotiating a fair price, you can generally count with about 15 USD/hour for the driver for several hours long distances or about 10 USD/hours for more than one day journeys. These should be the normal prices, you could negotiate a bit lower maybe, but a travel company will charge you several times more as well. Price for fuel could be included it this price already, but it is quite cheap (less than 1/2 USD per liter), so it does not form the main part of the transport price anyway. This calculation is derived from our price of a car from Petropavlovsk - Kozyrevsk. It was about 12!!! (bus is just 9) hours there, plus almost the same back for the driver and we paid 250 USD for this. We went in a less robust 4WD microbus unfortunatelly. This is almost twice more the the regular long distance bus, but the tickets were sold for that morning and we wanted to go immediately. A very good and friendly driver with quite robust 4WD microbus (we used if for Mutnovsky volcano) in Petropavlosk told us, he takes about 15 USD/hour there for shorter journeys. Unfortunatelly for someone, he does not speak English. The contact for him is : Kostja Kostarev, tel. 58756 . He can help you to find cheap flats for rent as well. I recommend him. A much more robust URAL or GAZ 66 truck (with bus like cabin for passanger usually) is needed to go almost anywhere else than the long distance bus goes. I don't have a contact on an owner of such a car, unfortunatelly. In Kozyrevsk, there is usually such a car waiting, especially when you arrive by regular bus. Almost anyone in any village knows who owns such a car, usually. And that is the place you need to hire it, you will not need such a car right from Petropavlovsk anyway. The normal price for a 4 hours long journey in URAL from Kozyrevsk to Leningradskaya is 200 USD. Kronotsky NP office in Lazo village owns GAZ 66 and they are able to go from Lazo to Leningraskaya as well. The price would be similar but the route goes along the fields of 1975 Tolbachik eruption, about 15 km from Leningradskaya (normal a long one day trip). They also one a very old (about 40 years) bus, that can be used for an approach to Tumroks hot springs. Contact for a very friendly (and not so business oriented as many others) Kronotsky NP employee "Vova" : Vladimir Tavrilov, ul. Komsomolskaya 7, Lazo, tel. : 8233/26415. He can arrange the bus to Tumroks, GAZ 66 truck etc. Horses are generally not very widespread on Kamchatka, so don't count on them. Horses can be arranged in e.g. in Lazo, to go to Tumroks (they would manage it in one day, I think, because it was 1 1/2 days of walking). There are about 450 000 people on Kamchatka and 350 000 of them live in and around Petropavlovsk. That's why it's called just "the town" among locals. Some places are identified according to their distance from somewhere in the town center. The bus station is on 10th kilometer, the market and "Russian book" bookstore (selling the great "Miracles of Kamchatka" book) on 6th kilometer. There is not much to see in the town itself according to me, so there is no need to spend more than one day there. Many people people visit a kind of "etnography" museum (correct name is "Kamchatsky Oblastnoy Kraevedchsky Muzei", on Lenin street no. 20). It is quite small, all texts are in Russion only (at least I was told that), so small value for the 5 USD entrance fee (for foreigners). But it was possible to buy Kamchatka tourist guidebook there. Many people try to visit "3 brothers" rocks in the sea at the mouth of Avacha bay. Arranging a small boat for 1/2 day would be very expensive in Petropavlovsk prices probably (>100 USD), so we tried to get there by a rented car along the coast. We passed a military building and finished at the end of a passable road, in front of a cliff. That was about 5 km to the south from Zavoiko peninsula. Public bus goes just to Zavoiko (because there is an area of block of flats there) and the dusty road along the coast starts when you pass the resident area and leave it on the right side behind you. There were seagulls and other birds at the sea coast and one could see some rock in the sea (on my photos). But it was not one of the "3 brothers rocks" probably. Anyway, I liked this short car trip and recommend it. I can not recommend visiting any travel agencies in Petropavlovsk (and probably anywhere in Kamchatka). Prices of transport are high anyway there and travel companies charge even much more. But I can recommend buying steamed salted fish on the market or visiting a good bistro (self service cafeteria) on Lenin street, about 100 m after Lenin square (the square where a statue of Lenin still stands !). I don't know much places to stay in the town, we stayed one night in Edelweiss hotel because of the visa registration and then one night in a rented flat (arranged by Kostja Kostarev, tel. 58756, for about 20 USD for the flat). This should be the trek for lovers of taiga forests and lava fields as well. You'll see black lava fields at the beginning of this trek also. The trek begins near the place of the famous Tolbachik volcano eruption, at former volcanological station called Leningradkaya (because it was used by volcanologists from Leningrad, now St. Petersburg, probably). It would be possible to make this trek longer, by starting with the ascent of Kluchevskaya volcano and continuing over Tolud pass from there. Russians did it approximately this way, although they went to Kluchevskaya from Leningraskay. It had an advantage of leaving some products at Tolud hut I think. We did not have so much time. You can read description of their trek plus get more GPS coordinates at http://bardjur.narod.ru/. They were my inspiration for this trek as well. You should see Kluchevskaya group of volcanoes very well from Plosky Tolbachik if the weather is good. You may expect to see bears or elks down in the valley as well. But with several days of rain, this trek was not a pleasant one for us. We had no expected view of Kluchevsky volcano from Plosky Tolbachik, no ascent of Kizimen volcano and no view of Kronotsky volcano from there. And no wiews on mountains around during the expected 3 days of wilderness with no path (result was almost 5 days of such wilderness). An ascent of Plosky Tolbachik volcano can be done in one day without problems. It takes about 6 hours up and 4 hours down to Leningradskaya huts. Most of the distance is just a mild slope, over the dark lava sand and rocks later. The right way for the final ascent to the crater edge goes by the small ridge on the right side, unless you want it to be much steeper. You should find the right way with the coordinates. The whole path itself is not very clear, especially in the mist. The way to Talud hut is quite easy, because one can go everywhere, the terrain is passable easily. The exact path is not very clear, but it is not important anyway. Later, we continued along the dry riverbed of some river that run paralel with Talud, following bear's tracks by the way. We hit the river finally and continued along it for some time. Talud river disappeared in sand later and we continued just the sand plains to hit Right Tolbachik river . This was the end of good path for several later days. This took 2 days. Better to follow Right Tolbachik river for several kilometers along it's current and go through the dense forest between Right and Left Tolbachik in a place, where the rivers are close (about 2 km from each other). We crossed Right Tolbachik too soon and it took us 3 hours to overcome 4km distance between the rivers. 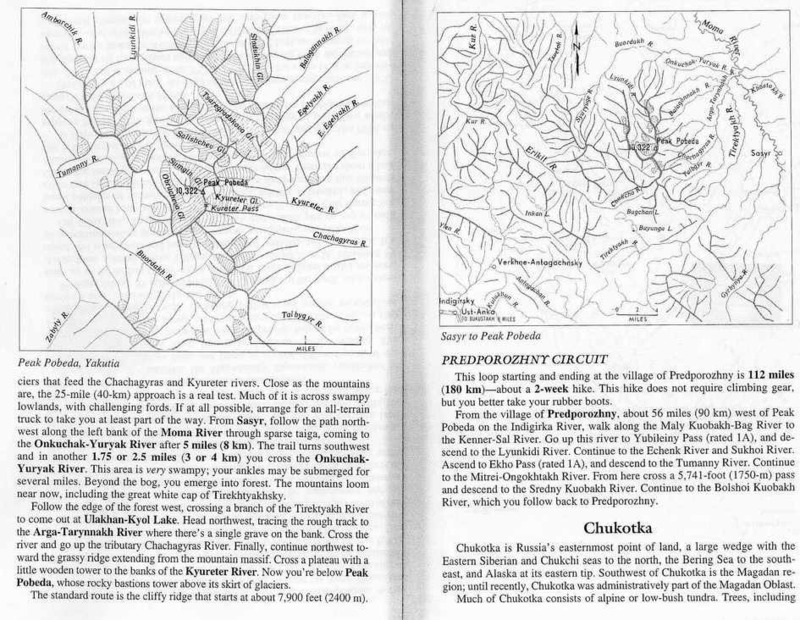 The guidebook even goes the the meating of these rivers. This takes 1/2 day. There is a not very visible path up along the Berezovy brook to Berezovy pass (1 day). The pass consists of beautiful meadows. The following part of the trek is the worst (2 days). If you go along the Left Shapina river, you will end in swamps sometime. But there are some meadows there, so it is not just bush and thick forest. If you want to avoid swamps, you have to go over the slopes of the hill on the left side of Left Shapina river. But you'll go up and down through a pretty thick forest. Nothing is ideal. When you reach the bridge over Left Shapina, then you are on the good Tumroks-Lazo path and you are saved. This takes about 3 days. The times when Tumroks hot springs resort was just a few huts are past now. New hotel style wooden builidngs with luxury rooms were built there in summer 2003 for rich tourists comming by helicopter. Most of the building are now owned by "WelcomeTour" travel agency. I didn't like the light color of these buildings, located in still total wilderness with no road around. We stayed there 2 nights in a bit underground small hut for free. Left Shapina is full of salmons, if you have a large net and an ability to work with it. Tumroks-"Koral" route (the place where a road to Lazo starts) takes 1 1/2 days. One can sleep in huts at the lake. The path is good and it is possible to go on horses as well if you arrange them in Lazo. It take's about 2 hours to get from a place called "Koral" to Lazo by the more then 40 years old bus of Kronotsky NP or any other 4WD car. The nature is beautiful along this path - mountains meadows with lots of blueberries and several lakes. I didn't want to visit Mutnovsky-Gorely volcanos originally, because many people had gone there already. But we changed our original plan because of the bad weather in central Kamtchatka. I was lucky to go there finally. Mutnovsky volcano with its phenomenons of volcanic activity combined with its accessibility was very rewarding. We could see steams, sulphur natural objects, blue crater lake, stones of many different colors etc. We didn't manage to visit Gorely volcano (which lies just at the opposite side from basecamp), because of the bad weather. There should bec several small crater lakes there, but not much of other phenomenons of volcanic activity as fas as I know. If one is short of time and wants to visit just Mutnovsky volcano, it is possible to do it with rented truck even during one long day (from Petropavlovsk). The usual basecamp, which lies approximately between Mutnovsky and Gorely volcanoes, is about 4 hours' drive from Petropavslovsk. Better to have some more robust car then the usual 4WD minibus, because this can have problems to pass over snow fields. If you have URAL od GAZ66 truck, you can be dropped about 1 hour after BC, right at a start of an ascent canyon . The easiest way is to follow URAL tracks from BC to the start of the ascent canyon. The path in the canyon it good and clear then. No gude is needed at all. When you reach the area of suphur and steams, don't forget to continue over that, althouth the area may seem like the end of the path. The path is leading to a beautiful crater lake and even further to the edge of a second crater. There's a rope for the last few meters below this edge. This is really end, I think. The ascent takes about 3 hours from BC, about 2 hours from the end of the passable road. There's a beautiful canyon with a waterfall just a few hundered meters down from the the place where truck tracks end under Mutnovsky volcano. See coordinates and don't miss this small detour. If you want to save money, you can go from Petropavlovsk by a public shared minibus (from bus station probably) to Paratunka hot springs resort. Then walk to the start of the road to Mutnovskaya (see coordinates, there's a private thermal pool there as well) and hitchhike further. There are many trucks going to Mutnovskaya hydrothermal power plant. But these trucks can take you to the place where road the BC separates only (see coordinates). It's about 6 km from there to BC. Rented travel agencies' trucks with tourists seemed to be pretty full, so I wouldn't rely on a ride directly to BC too much. 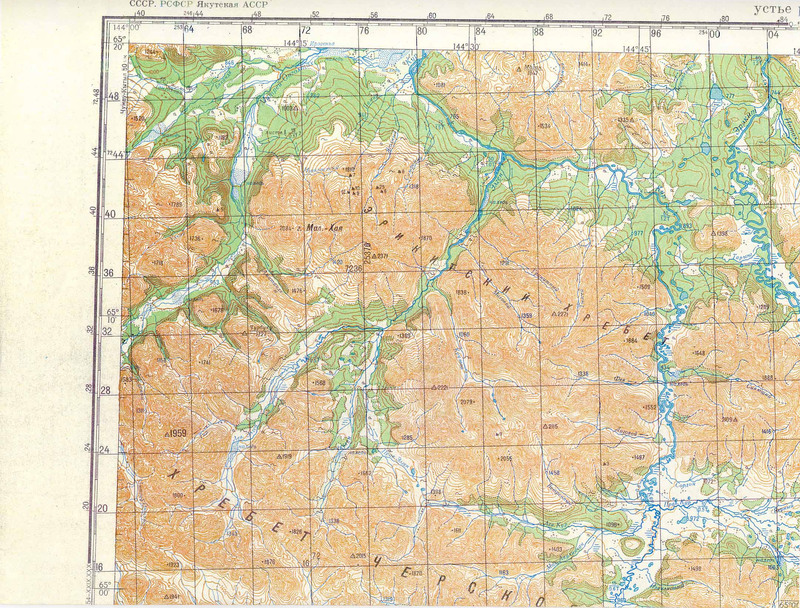 The famous scanned Atlas of southern Kamchatka can be found on Czech map server or smaller version (18MB) here (index map here). Reasonable look at Kamchatka from an experienced Russian mountaineer and guide Yuri Kolomiets http://www.risk.ru/eng/people/guide/kamchatka/index.html. 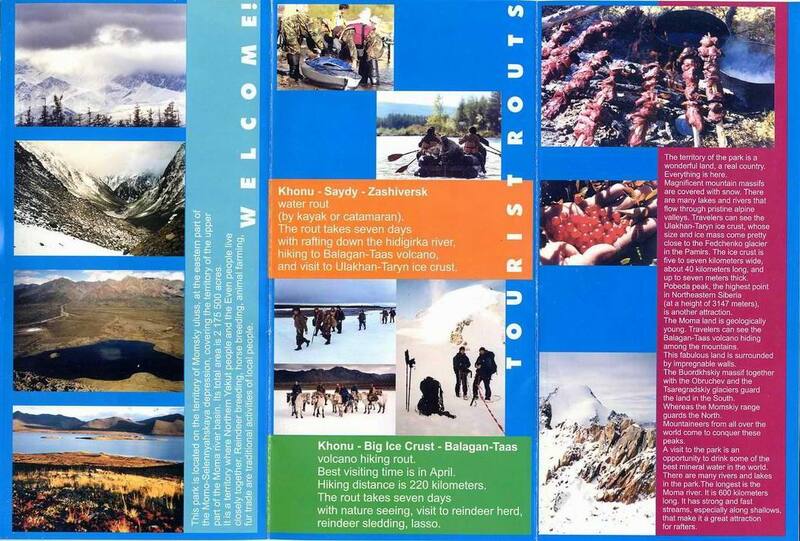 Kamchatka tourist guide 2003 booklet could be bought in the museum or "Ruskaya kniga" (Russian book) bookshop or at other places like souvenir shops. Apart from basic information about Kamchatka history, original people (quite useful, the only info I found in English), flora, fauna, national parks etc. in both Russian and English !! !, it contains many possibly useful company advertisements. 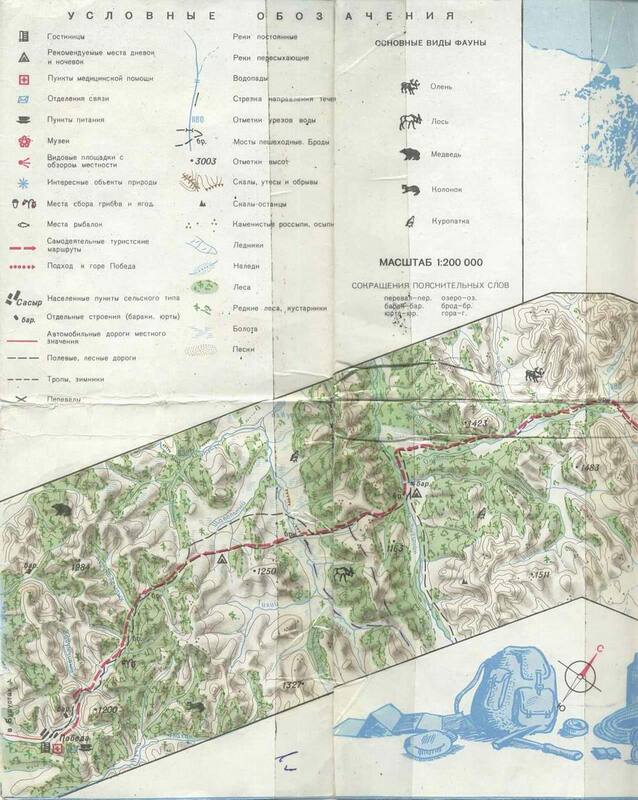 It contained a street map of central Petropavlovsk as well. I scanned some pages from it here. Miracles of Kamchatka by Andrey Nechayev is the best photo book about Kamchatka I've seen so far. Most of the photos there are from from Kronotsky park, where the author spent several years probably. It contains valuable texts in both Russian and English !!! as well. It could be bought for less than 20 USD at "Ruskaya kniga" (Russian book) bookshop. This is the best thing to buy as a souvenir from Kamchatka.